So after the drab brown bread, I’m back with something more exciting: doughnuts! And they’re full of cinnamon and sugar. The perfect way to start the morning, am I right? You know how I make everything 100% whole grain? Well this time I went with 66.6%. It’s good enough, right? ;) They’re still healthier. After all, the doughnuts have Greek yogurt and we know all that this instantly transforms anything into health food. They’re super quick and easy to make as there’s no yeast, no rising time and no kneading. I love my fried doughnuts but they can be quite the pain to make and then two days later, you’re 4 pounds heavier. But with these, you only have six! Oh, and you guys, I’m headed to Stockholm tomorrow for a long weekend! I’m going to visit an old friend of mine whom I met the first time I was an exchange student in Sweden. Yup. I was an exchange student in Sweden twice. I kind of love it there. But I’ll share more about that when I come back. And when I return, I’ll have some Swedish recipes to post. 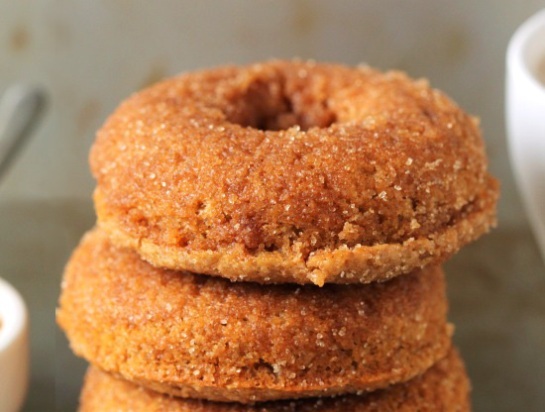 39 comments on “Whole Grain Baked Cinnamon Sugar Doughnuts” — Add one! Hi Erin! I have been having donut cravings for a few days now. I woke this morning knowing if I didn’t find a good recipe and make some, I was off to the donut shop. I knew you would have something good and I was right!!! I have to admit that I tried making my own powdered sugar glaze and didn’t care for it at all. So, I tossed the rest of my glaze and used your topping recipe. I’m so glad I only glazed one donut with the other stuff. The rest of the donuts were SO GOOD with the butter and cinnamon sugar on top. I do like to experiment, but can admit when I’m wrong ;-). These smelled really good while they were baking, so I was ready for cinnamon when they came out of the oven. And though I thought I wanted a powdered sugar glaze, I thought they were delicious and I loved the way the sugar crunched between my teeth. Thanks for always having awesome recipes that taste great and don’t give me a guilt complex!!! I’d love to know if you decide to make a glaze for these yummy guys! Oooh yum! These look goooood! 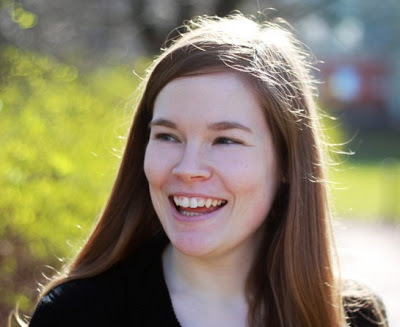 Going to check out the recipe :) Also… I am so jealous of you being an exchange student in Sweden! You shouldn't have even mentioned twice, lol! So awesome! These look awesome! I have never met a doughnut I didn't like, and the idea of making them with whole grains… SIGN ME UP! Oh, all I can think of is how fabulous it is you are jetting off to Stockholm for a long weekend. I hope you have a blast and can't wait to hear about it:))Love these healthier doughnuts, Erin! These donuts look soo yummy! I bet your time in Sweden was awesome. cinnamon sugar donuts are my favorite kind Erin! Yours look so perfect and loooooving that they are whole grain. Hope you enjoyed the long weekend! this looks amazing… so beautifully baked. These look like perfect baked doughnuts – what a way to start the weekend! 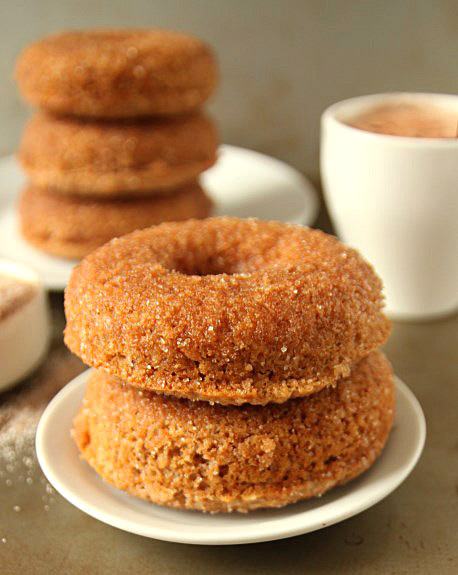 Cinnamon Sugar is among one of my favorite things and your donuts look divine. As I write this comment I am enjoying cinnamon toast. Happy Saturday! Have fun in Stockholm. How cool is that! I never never been to Sweden, i heard it's a beautiful county; cold but beautiful! Have fun in Stockholm! These donuts look awesome! I love that they arent 100% whole wheat, but still healthy. Yummm… cinnamon and sugar! Thanks! I had oodles of fun. :) I hope you had a nice trip, too! Love baked donuts! These look perfect! Have a great trip! These doughnuts look Amazing! 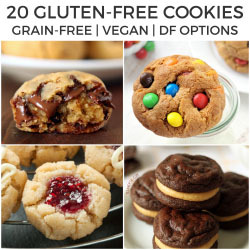 Love the fact that they're baked, which means more late-night snacking (guilt free!). Such a fabulous recipe! Yum! I love baked doughnuts and cinnamon + sugar = happiness :). Same here, Annie! I LOVE the fried ones, but, yeah… you know. Not so good to eat a dozen in a day. Which is impossible not to do!